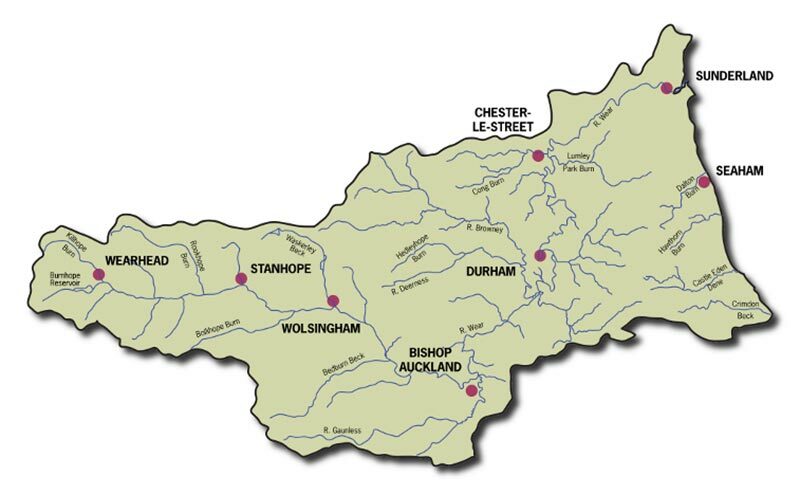 Stretching a whopping 60miles (97km) the River Wear is one of our region’s longest rivers. Being so long there are bound to be hundreds of different walks, of varying lengths, along the riverside. I’d love to be able to catalogue every walk along this magnificent river but for now, lets start off close to home. The Wear Rivers Trust was set up in January 2009 to protect, restore and improve the river and its tributaries. The Wear has a long history of industrial revolution where lead and coal mines would utilise the river for transport until the development of railway lines. This industrialisation clearly had an impact on the river. Thankfully now due to modern practise we can focus on restoring the affected habitats and improve water quality for future generations to enjoy. Water quality affects the wildlife as well as the river’s aesthetic value. From pollutants affecting the food chain, many species could have perished or migrated. Hydrological alteration (changes in water volume, flow distribution etc.) could affect the ability of a species to spawn and gain nutrients from the water’s current. Thankfully, due to restoration projects and correct management, the Wear’s population of fish is of high quality, holding salmon, coarse and various other species. If you’re stuck for what to do with the kids this Easter, you can enjoy a relaxing fishing trip organised through FishPal an online booking system for all types of rod fishing. Why not take the grandkids for a day of fishing for sea trout or salmon through April? Make their Easter holiday one to remember, and something they’ll be telling their teacher about when they go back to school. 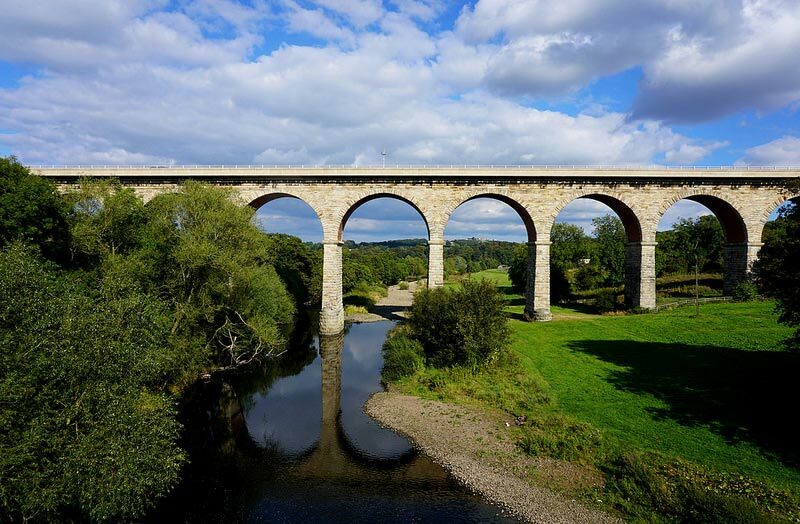 For those of you who grew up in Bishop Auckland and its surrounding area we’re all too familiar with the summery phrase: “How’s about taking the dog down the Batts?” As a child you knew summer was just around the corner when you heard your parents or grandparents saying that… But were you aware of other exciting routes you can take along this stretch of river? A lot of us can be put off by having to walk up and down steep hills, especially after having walked for miles already. So why not park up close to the river walks and make it easier on yourself? There are a few different parking ideas close to the river. Where you park depends on your own preference and what you are planning to do. For me, I like to park along Lower Bridge Street just below the viaduct. Here there is safe parking and you’re right on the river bank with easy access onto the walk. Alternatively, what a lot of people have told me is to park down Wear Chare (the left turning on North Bondgate just before the Merry Monk) where there is a small parking area right in front of the grassy area before the river bank. For those of you (like myself) who don’t have trustworthy vehicles which are brilliant going up hills I would avoid this route. You won’t get stuck down there but the alternative to driving back up the steep bank can be a long drive round depending on where you have come from. Before you set off have a look at Google Maps (or Google Earth if you have it) to see which part of the river you’d like to venture to and check where the best place to park is. As well as the usual mallards and gulls, the River Wear is a great food source for grey herons who stand majestically along its banks. 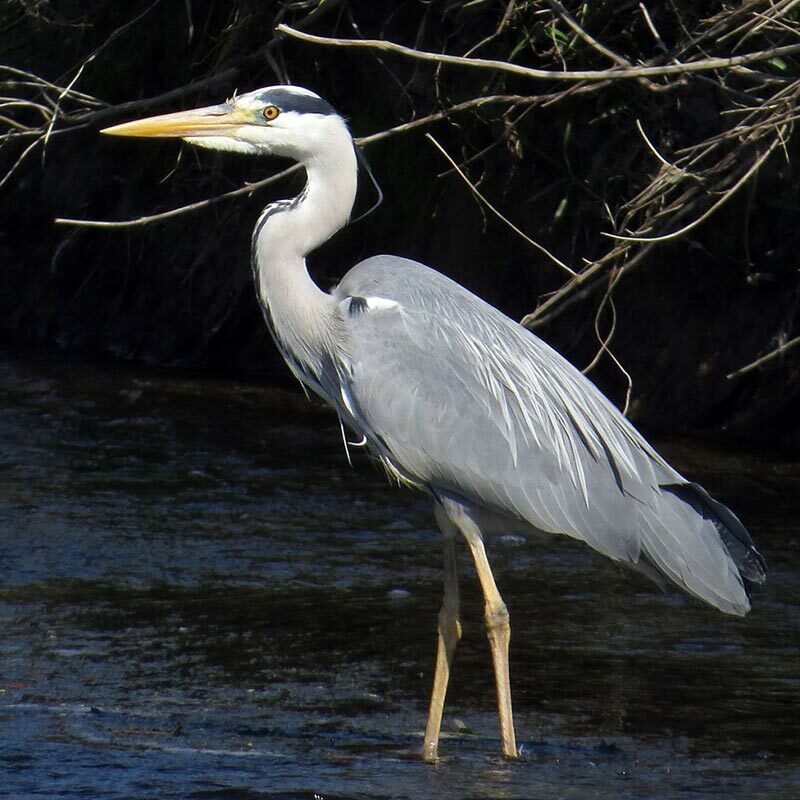 Grey heron are beautiful, tall birds reaching 98cm in height and with a wingspan of up to 195cm. They are often seen flying around many different habitats including wetlands, grasslands and woodlands. As well as the bird population, sightings of otters swimming along the River Wear are on the increase suggesting a positive incline in their population. How great is that? So next time you’re out and about near the river, remember to take your binoculars or camera for some amazing sightings. 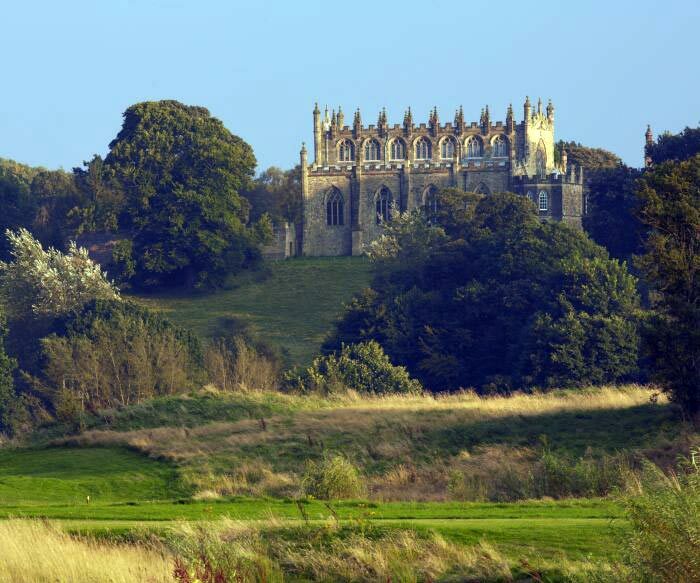 As you walk along the banks of the Wear from Lower Bridge Street, passing Wear Chare, you can see an entirely different view of Auckland Castle. At the moment the castle is undergoing restoration so a lot of your view is obstructed with scaffolding but none the less, the view is still surreal. As you walk along the bank there are a few different public footpath signs within the first couple miles of the walk which take you further away from the road and surround you with even more fantastic views and wildlife. The best adventures are the spontaneous ones, they’re the ones you least expect to find anything amazing on. So when you’re out on a walk and you see a hidden public footpath, explore it, discover what it has to offer. If its less used you’re more likely to come across undisturbed wildlife. One exciting walk straying away from the river is the route to Binchester Roman Fort. How’s that for an exciting day out? Having a beautiful scenic walk along the River Wear then stumbling onto the remains of a Roman Bathhouse. 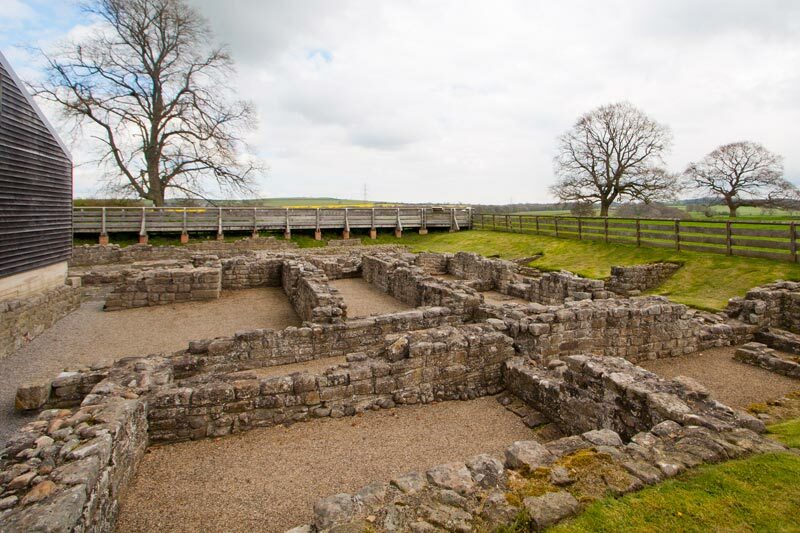 Dating back to 80 AD, Binchester Roman Fort (Vinovia) was one of Northern Britain’s largest Roman forts, believed to be able to accommodate an entire battle group. Check it out for yourselves, you’ll learn some amazing things about our county. If you’re in the mood for a long adventure, why not walk a circuit from the River Wear past Binchester Roman Fort and into Binchester Woods where you walk alongside Bell Burn. Keep an eye out for the wildlife along this walk. Roe deer can be seen wandering around the woods and you can watch soaring birds of prey searching the parallel fields for their next meal. Eventually your walk will bring you to Auckland Way where you have the option to walk back to Bishop Auckland or continue on to Cornforth. The walk is long but the terrain is welcoming and the lack of hills is a bonus.